Imagine my surprise when I looked out the window this morning to see white stuff falling from the sky. It was covering the grass, the trees and the flowers. 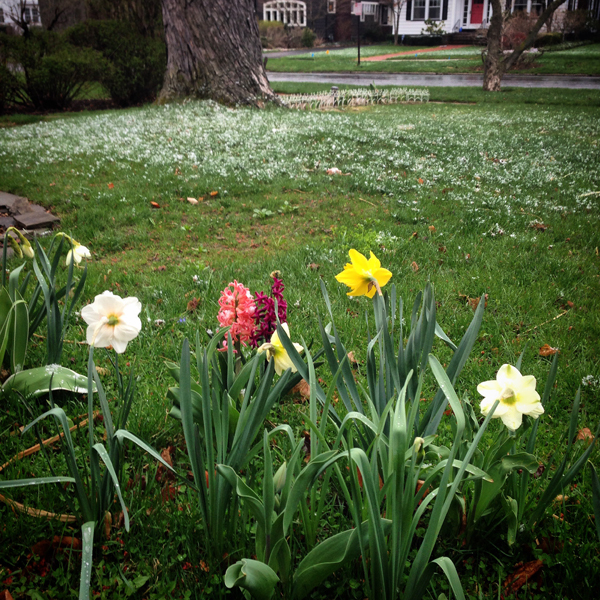 Nothing like seeing snow on your daffodils and hyacynth. I guess I shouldn't complain. The latest it has ever snowed in Rochester was on Mother's Day. 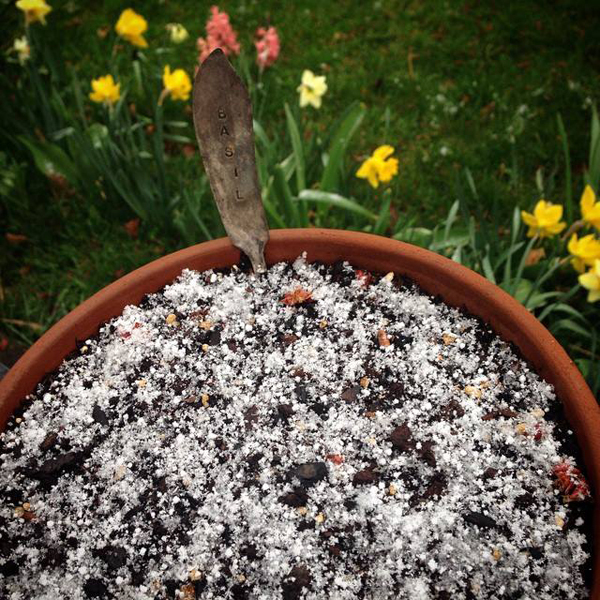 In 1996, on May 12th, it snowed 1.5 inches in Rochester. The most snowfall ever recorded that late in the year for our city. I figure if we can just make it to Mother's Day this year, everything will be okay.